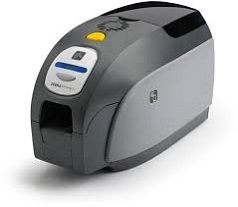 ZXP Series3 - Professional card printers! Fast, reliable and easy to use, the ZXP Series 3 is everything you could want in a professional card printer. The ZXP Series 3 is an ideal solution for mid-volume applications that require minimal operator training and excellent print quality. ZXP Series 3 printers offer advanced features , high print speeds and high capacity media options. The ZXP Series 3 offers a wide range of high capacity ribbon options, along with the capability to select the card thickness that is right for the application. These features, with the ENERGY STAR®rating, make the ZXP Series 3 the most cost effective card printing solution in its class.